This versatile, mix and match set includes, two Voile Semi-Sheers and two Reverse Moroccan Room Darkening curtains, designed to help you add depth and character to your windows like a pro. 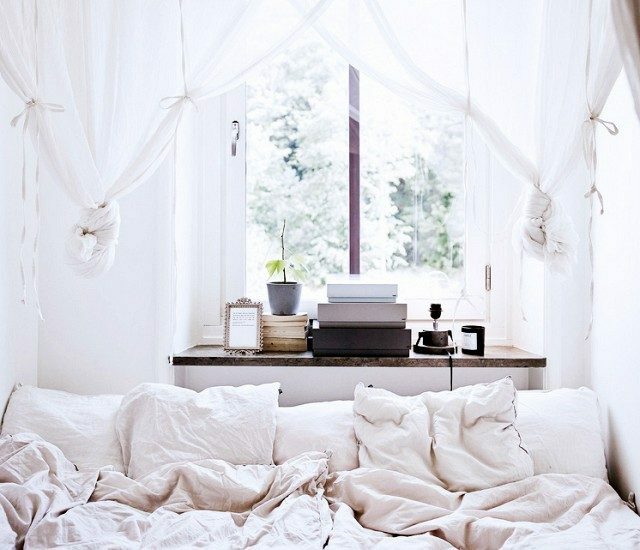 Layering curtains with sheers is a great way to make a fashionable statement and also soften a room. When the two are layered together, the airy Voile will brighten up the room with natural light while the Reverse Moroccan Room Darkening panels will reduce light when you want less.